If you are a fan of mechanical keyboards, you are probably in heaven these days. After all, there are many manufacturers producing quality products. Unfortunately, many of these models are designed for gaming, meaning they are ostentatious, with RGB lighting and funky teen-friendly style. They often have noisy keys, too -- great for the user, but annoying to those around them. If you want a more conservative mechanical keyboard, your options are a bit limited. Today, Razer launches a very beautiful mechanical gaming keyboard that looks very sophisticated rather than childish. The "BlackWidow Lite," as it is called, has regular white back-lighting and forgoes a number pad, making it very compact. Best of all, Razer's own orange switches are silent, meaning you won't bother family or coworkers when gaming or typing. It is reasonably priced too. "The BlackWidow Lite keyboard boasts the powerful performance of a Razer mechanical gaming keyboard with a sleek, minimalistic profile that’s fit for the professional environment. Equipped with Razer Orange Mechanical Switches that provide near-silent, tactile feedback, the Razer BlackWidow Lite ensures the best typing experience possible while being discreet. Each switch is also tested for durability of up to 80 million keystrokes, providing durability far beyond standard keyboards. The Razer BlackWidow Lite also ships with separate o-rings for extra sound dampening and fatigue control," says Razer. 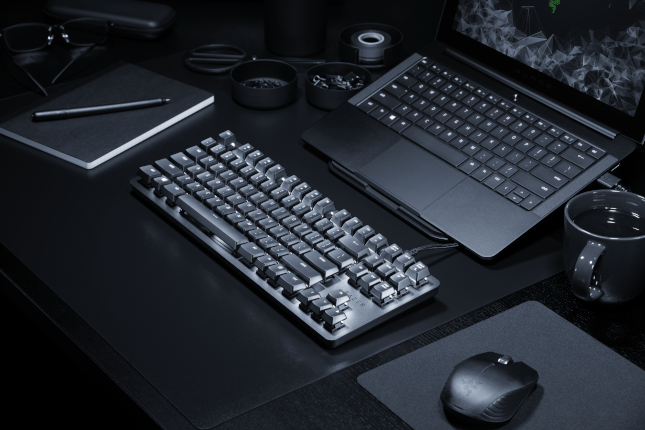 The company further explains, "The Razer BlackWidow Lite has a compact, tenkeyless layout and includes a detachable braided cable for easy storage and portability. Individually white-backlit keys on the keyboard enable productivity in low light, with fully adjustable brightness controls. Get access to advanced options and granular control with Razer Synapse 3, a cloud-based hardware configuration tool that lets you assign macros, set shortcuts, and more." Razer shares the following specifications. 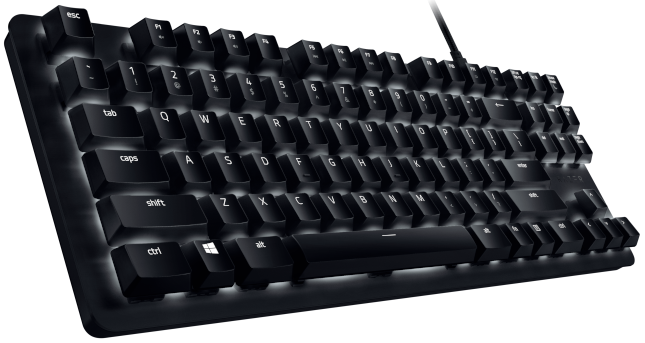 The BlackWidow Lite mechanical gaming keyboard be had here for $89.99 -- quite affordable. As an added bonus, you get free shipping when you order.